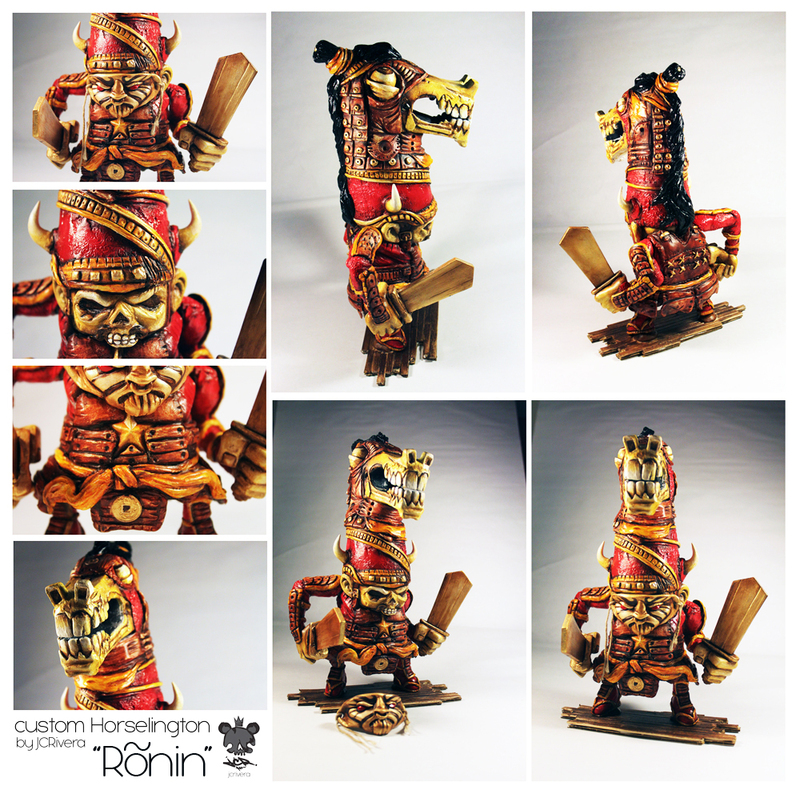 If you ever wanted to see the ultimate Horselington then feast your eyes on this awesome custom by JC Rivera. This samurai themed custom titled "Ronin" has everything that is needed to be both beautiful and deadly all at the same time. The usage of reds and golds along with the expressive face makes this piece almost feel like it will come to life at any point. If you are interested in picking up a custom from JC Rivera then check out our selection at Tenacious Toys HERE or check out his online store HERE. Are you ready for a "Space Case" Android chase? 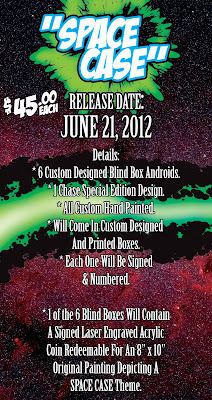 Well Jeff from Menace Inc. Studios is releasing on June, 21st six custom designed blind box Androids. 1 of which will be a chase special edition design. Each will come signed and numbered in a custom designed printed box. In one of the 6 boxes will be a specially engraved acrylic coin redeemable for an 8" x 10" space themed original painting for FREE. Once we get some pictures of the figures we will post them! 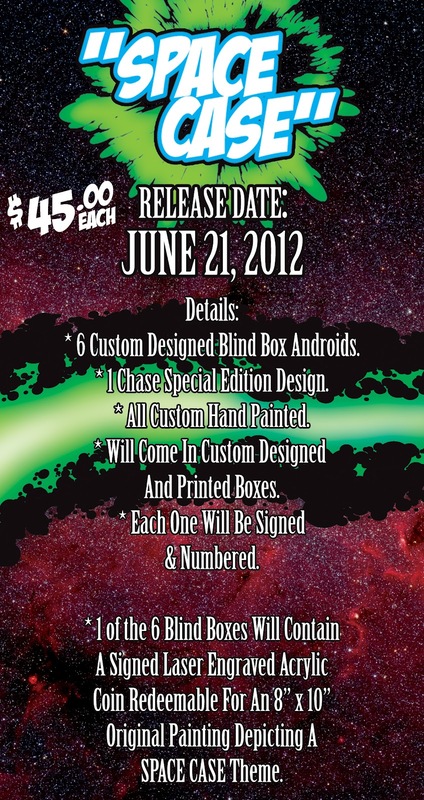 These "Space Case" Androids will be $45 each. If you would like to see some current work that is for sale by Menace Inc. Studios please click HERE. Each is printed on fine art watercolor paper (225gs), 9"x18″ (13"x22" with 2" border), signed, numbered and gold embossed. Limited edition run of 100 prints, $40 per print. 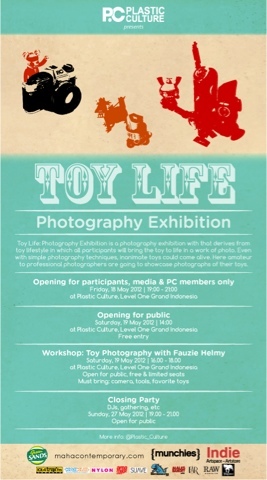 19-27 May 2012 at Plastic Culture, Grand Indonesia-Level One. Carson Catlin is up to no good. He is taking sweet little innocent Dunny's and Munny's and carving them out. 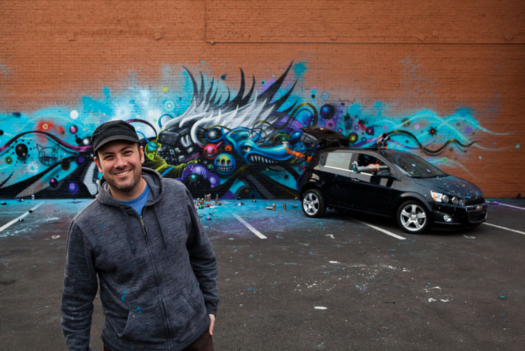 Now before you go OH NO, ake a look at the colorful masterpieces he has turned them into. 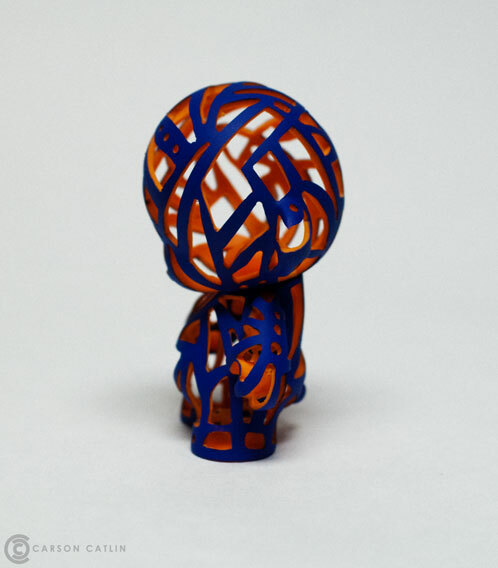 Using his 2 tone color pallet and carving out intricate beautiful patterns that can be stared at for hours these little patients are a sight to see! I would definitely say that sacrificing these Dunny's and Munny's was worth it. Wouldn't you? 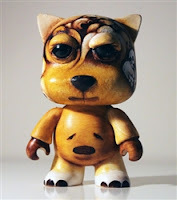 If you are interested in picking one of these pieces up from the Most Wanted show at 1am Gallery then please click HERE. 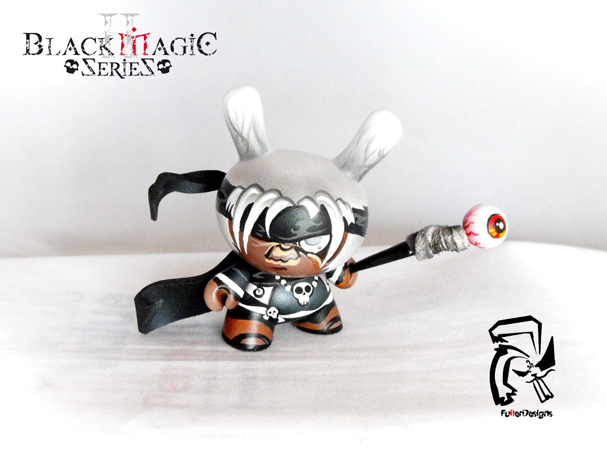 Who's Ready For Some Black Magic? Fuller is up to some of his New Orleans "Black Magic" tricks again. 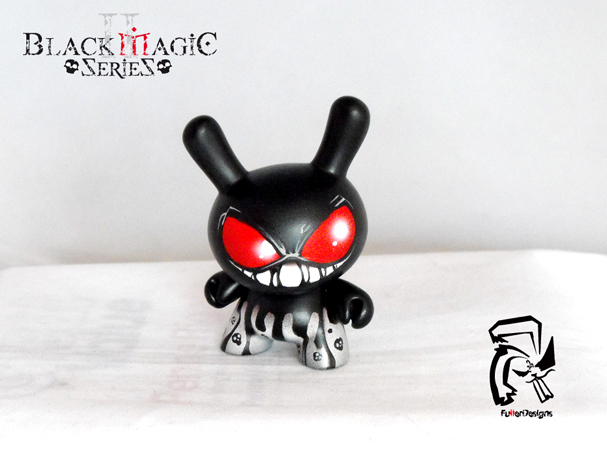 After the much success of his first series of "Black Magic" Dunny characters, Fuller decided to do a series 2. 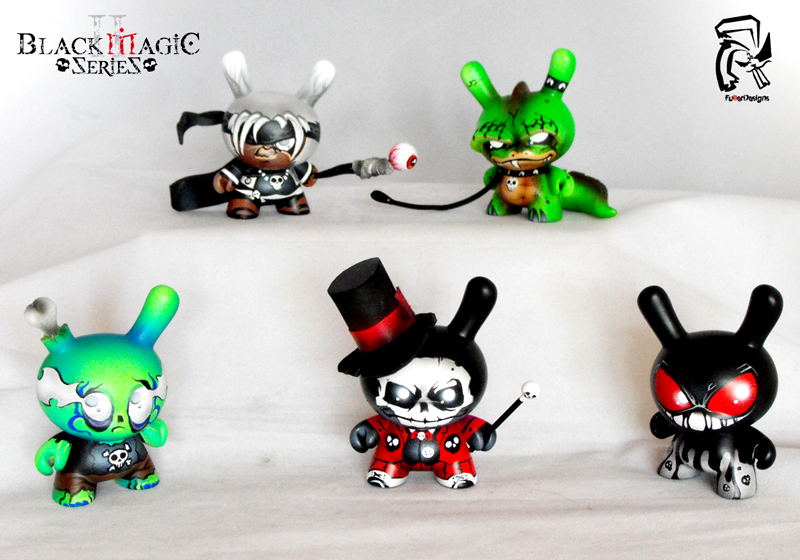 Featuring 5 different creatures from the deepest realms of "Black Magic" this set has the colorful vibrance and beautiful ambiance that is to be expected from a Fuller Dunny Set. My favorite from this set is the lizard with the studded dog collar. Who wouldn't want a pet lizard that looked like that? If you are interested in picking one of these up all the pre-orders have sold out but if you go to his store HERE and click the contact button on the right Fuller said he would be more then happy to make one of these little "Black Magic" Dunnys for you. 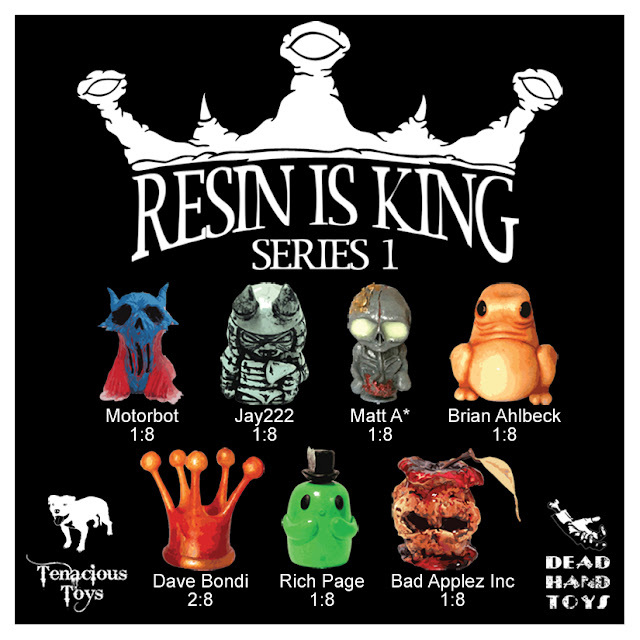 Each blind box will be $25 and comes stuffed with a 2.75" resin figure, a sticker and a ratio card. 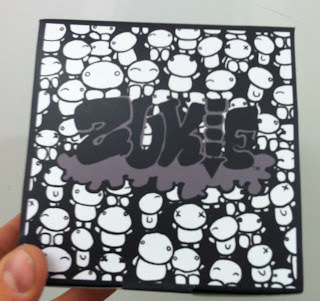 In some cases there are additional stickers or original sketches by the artists included inside the box. Also, there is one Golden Ticket randomly inserted. The customer pulling the Golden Ticket will win a 6" resin Teuth figure cast in resin and custom-painted specifically for this series by Brian Ahlbeck. 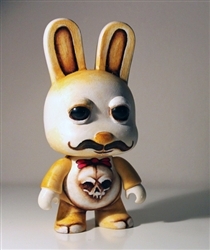 This was a collaborative project between Dead Hand Toys (Brian Ahlbeck) and Tenacious Toys (Benny Kline). 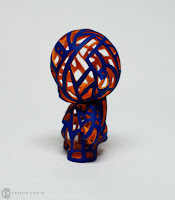 Last year we were hanging out and it occurred to both of us that there had never really been a multi-artist blind box resin figure series, so we decided to create one. We picked a very small group of friends and associates to include in Series 1: Brian, of course, plus Rich Page, NEMO & Osiris (Bad Applez), Matt A*, Jay222, Motorbot and Dave Bondi. We wanted to keep the price point low and offer up a similar buying experience to the multitude of blind-boxed vinyl toys on the market. If Series 1 goes well, we have big, BIG plans for Series 2. Props to all the guys in Series 1; thank you for your patience as I endlessly pushed the release date back. 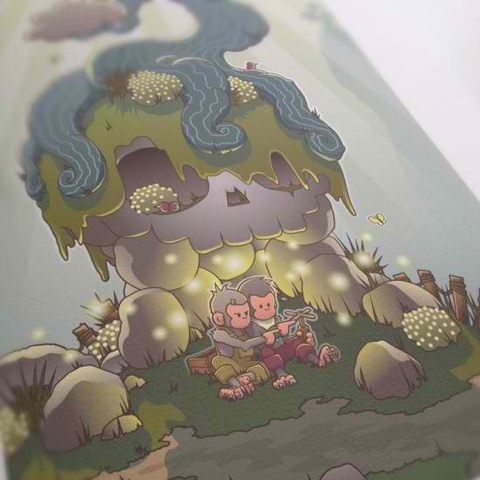 Over the last few months we';ve been posting a lot of work from Alison Perez, aka Miss Zukie. Alison's signature character, a simple little creature named Zukie, has been popping into our inbox regularly as Alison creates Zukie over and over in the form of custom toys and figures. At first, her pieces were almost dioramas, even terrarium-style pieces, incorporating found objects in enclosed environments, under glass. 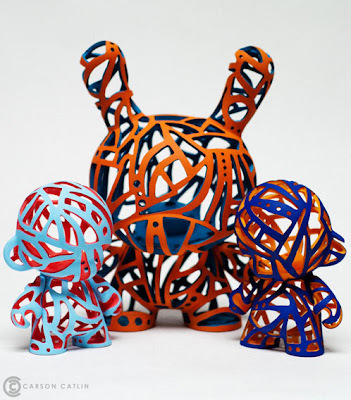 Then Zukie began hanging out with other cool platform toys like David Choe's Munko figures. Always inviting and colorful, Alison's custom work sold quickly. It seemed like Alison always had another trick, another idea, up her sleeve for the next piece. 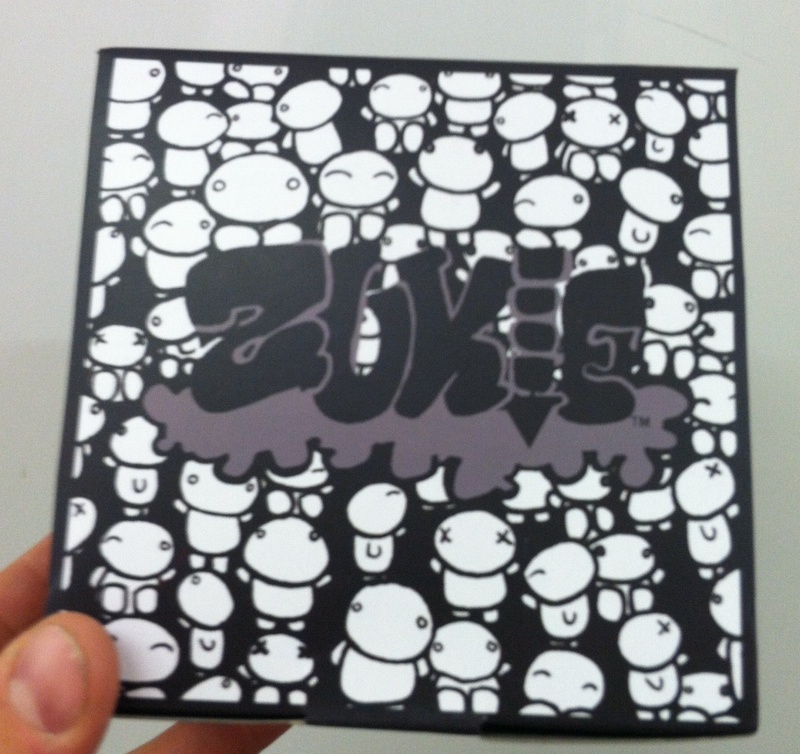 Zukie began to be available in many sizes, from super minis up to a few inches. 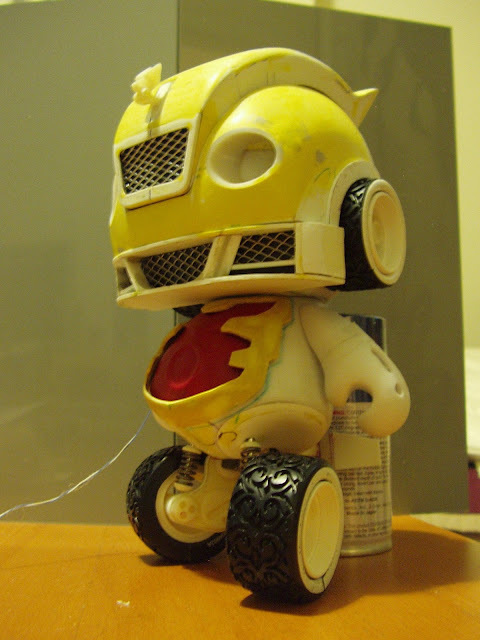 DIY Zukie has one point of articulation (neck) and is just as clean as can be. Certainly a great platform to customize. 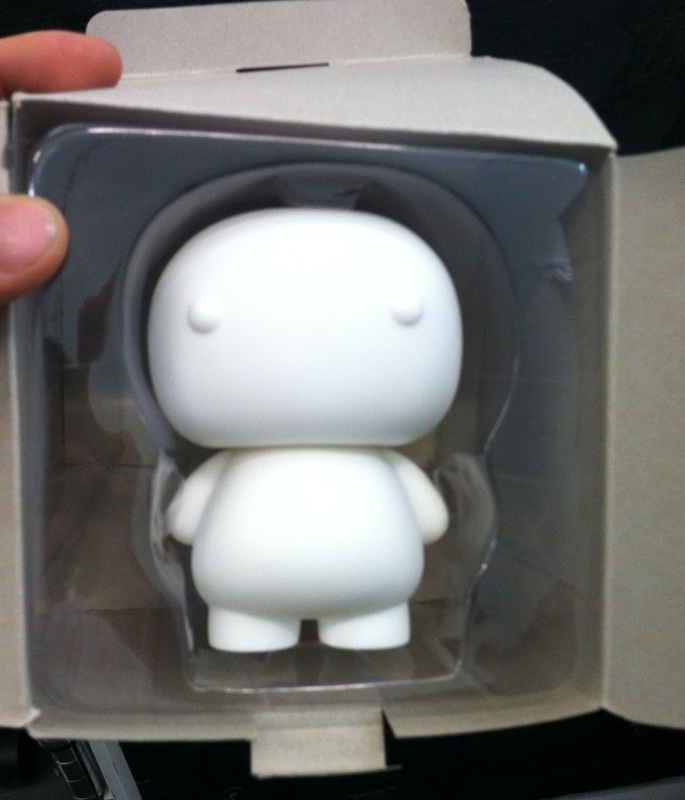 With a price point at $9.95, this figure directly competes with Kidrobot's Mini Munny and the Mini Qees from Toy2R. Whoever produced this figure for Alison did a great job on packaging, with plastic inserts in the box just like the big boys use. 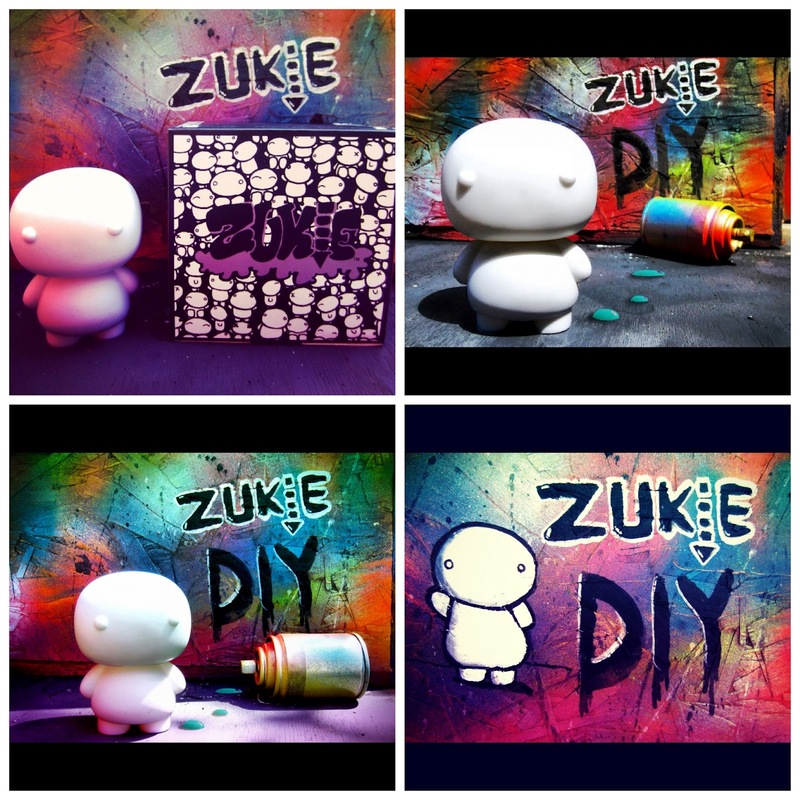 Zukie art all over the box is fun and works well with the DIY nature of this figure. I've seen a bunch of artists posting on Facebook that they are excited to finally get their hands on a DIY Zukie. Resin is King Series 1 is a blind-box resin figure series developed by Dead Hand Toys and Tenacious Toys. We called in 7 talented resin artists to contribute new sculpts to this series. 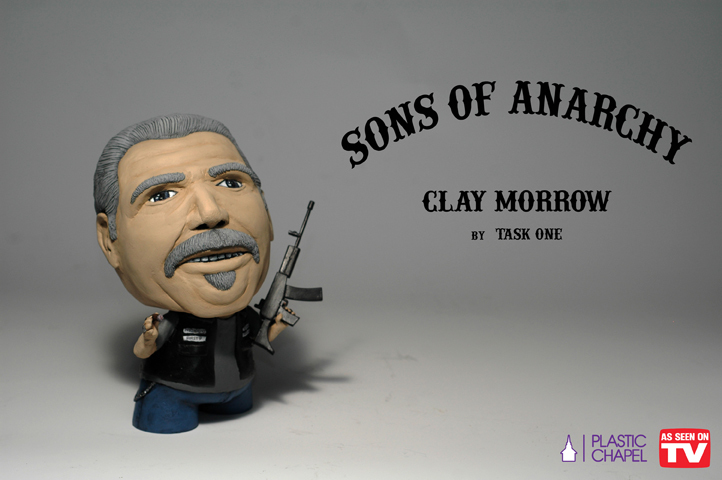 Each piece is just under 3 inches tall, and each blind box will retail for $25. There are a total of 40 pieces in this series. 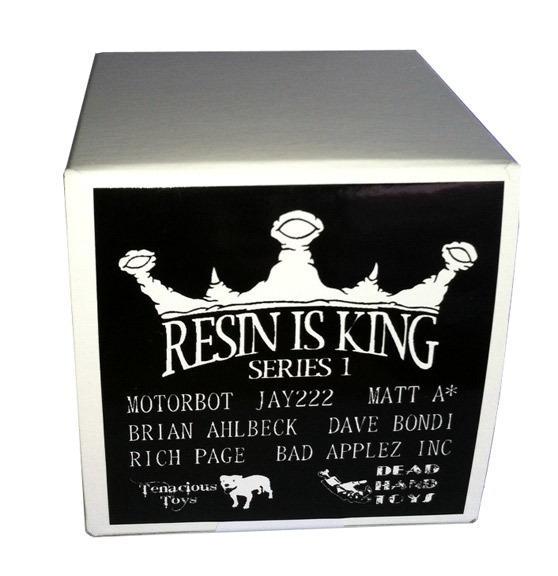 The release date is this Friday, May 18th at 8pm EST on our Resin is King page. 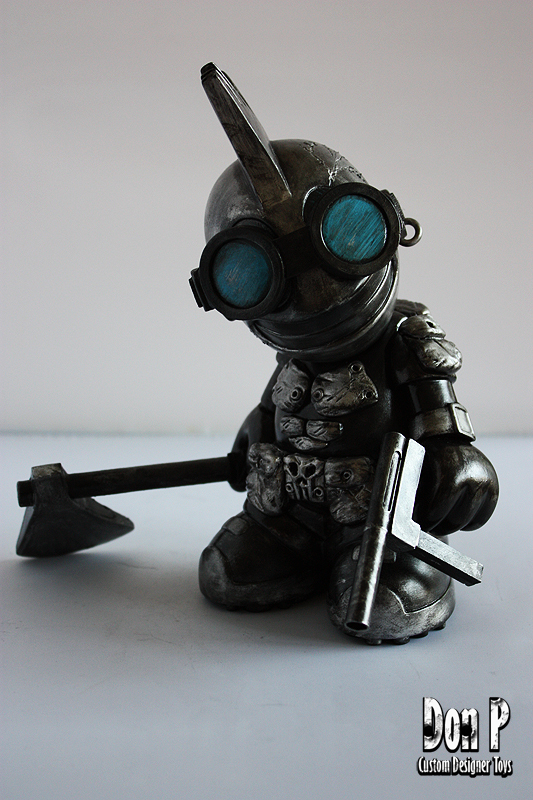 Above is the first time we've publicly released real, full-color images of the pieces in the series. 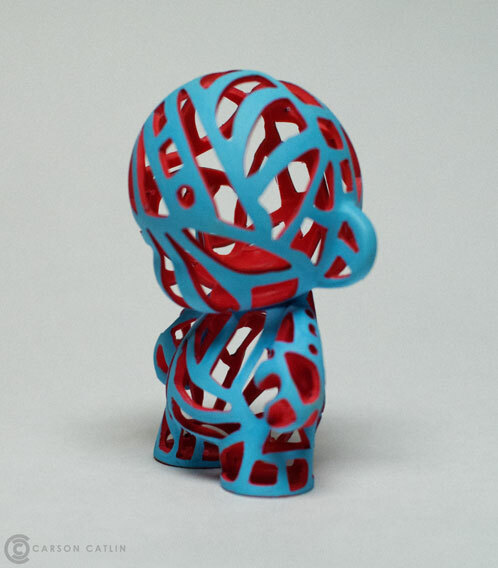 Note that this picture only illustrates one colorway for each sculpt/artist. Each artist did in fact submit pieces in a variety of colorways- every piece in this 40-piece series is uniquely painted, so in reality the image above is not even close to a full reveal. The ratios indicated show the chances of pulling a piece from that artist. 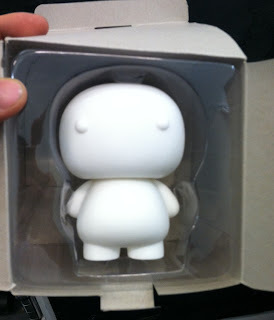 Each blind box will contain one 2.75" tall figure, a sticker and a ratio card. The artists in Series 1 are: Motorbot, Jay222, Matt A*, Brian Ahlbeck, Dave Bondi, Rich Page and Bad Applez Inc.
Below is the Golden Ticket Teuth figure by Brian Ahlbeck. 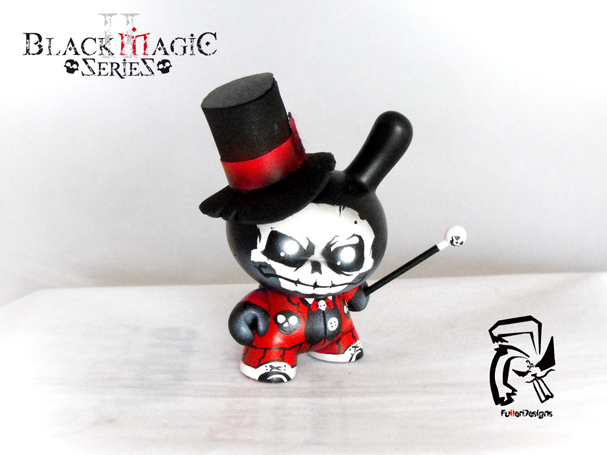 The Golden Ticket will be randomly inserted into one of the blind boxes. GOOD LUCK! 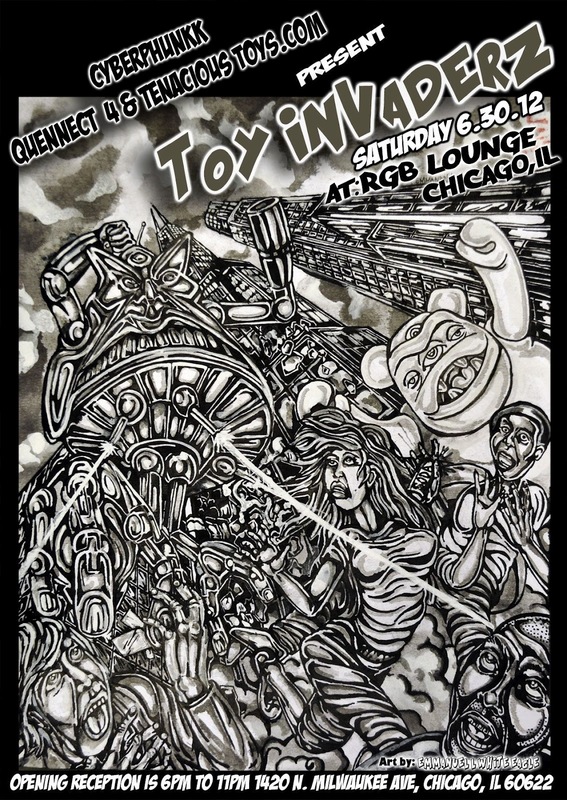 We've been working with Emmanuel White Eagle (Cyberphunkk) for some time now, and it's finally time for him to curate as he puts on his very first group custom show: "Toy Invaderz" will take place June 30th in Chicago! 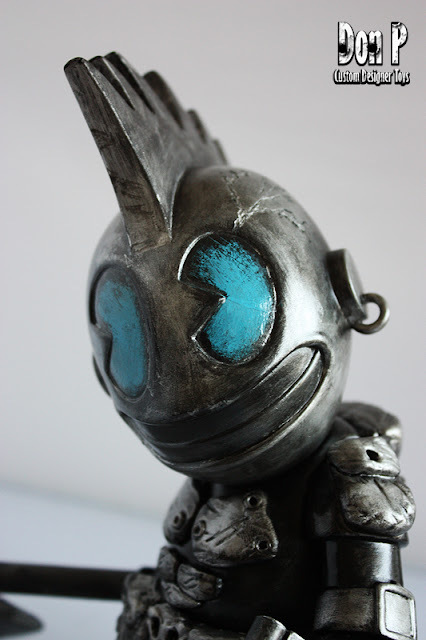 I have spent the past year and a half networking and admiring the works of artists in the toy community. From across the continent- US to Latin America and in Chicago itself- delving into the world of custom and original toys, enjoying and loving their creative input and determination, seeing and becoming a part of this art and its community and where it's headed. So after being around it and making toys myself, I decided in 2011 to start looking for a space to curate and launch an independent toy show in Chicago. 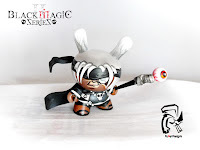 I wanted to showcase customizers and independent toy makers from all over the world that are up and coming. 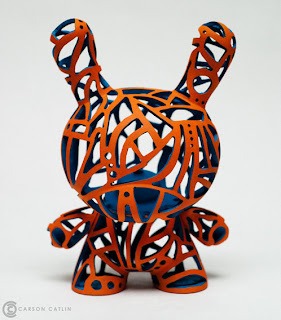 The idea is to bring more exposure to the Chicagoland area of the toy scene and the artists working in toys. I wanted to introduce more people to the movement in Chicago since there is not much of a custom toy scene here. This event hasbeen created and curated by yours truly (Emmanuel L White Eagle, aka cyberphunkk). I recruited some very talented artists- from already established to up-and-comers. 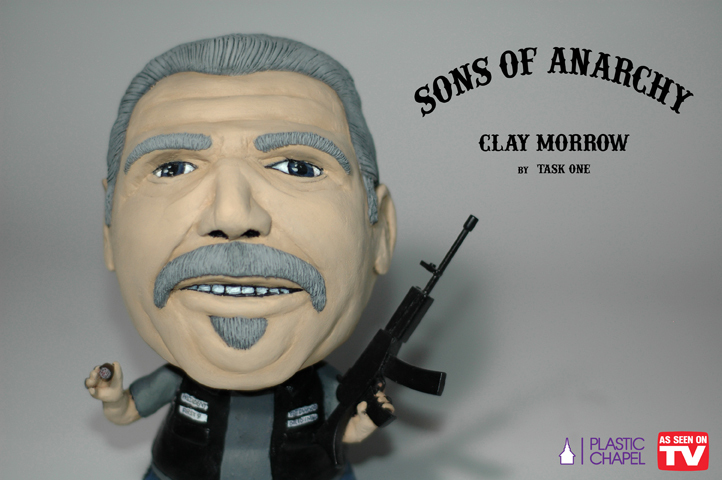 I have partnered up along with our beloved Tenacious Toys (www.tenacioustoys.com) to host and blog our online gallery and toys, exposing this show nationwide & worldwide via the web. And this event will be hosted in Chicago thanks to the support of Quennect 4 Gallery who are the ones hosting our event, partnering up with all of us artists to help us bring this toy show to life.. The event will be proudly exhibited at the fresh and collaborative gallery space RGB Lounge. We are honored to have been asked to participate and lend our ecommerce abilities- to that end, we will be setting up a page to host and sell the customs in this show. The spins create a much more informative visual display for the product in question. 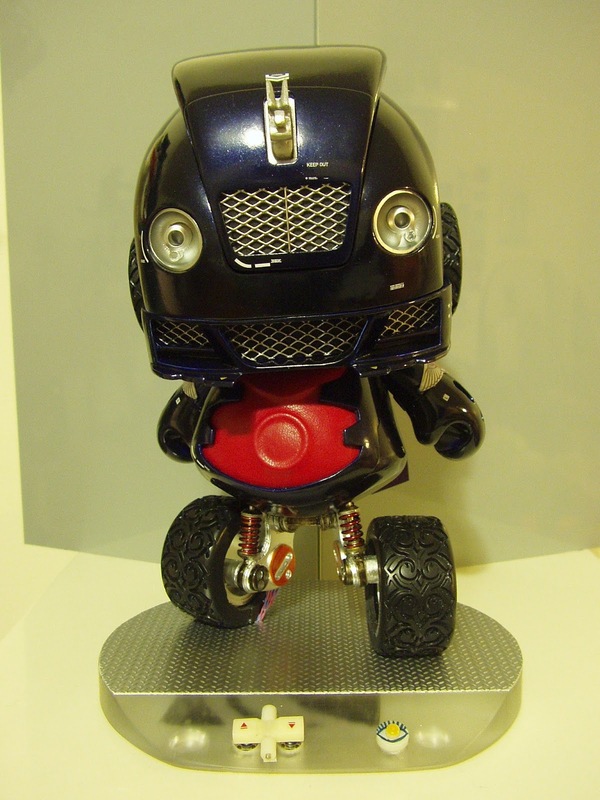 I think it's perfect for designer toys! 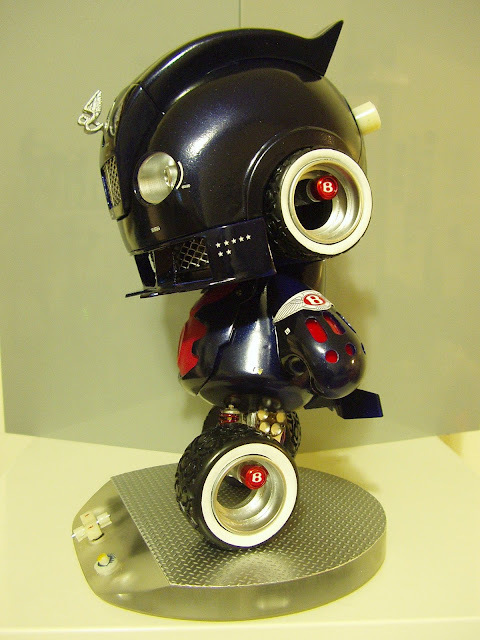 Above is a spin of Evilos' Tron Mini Qee custom (from my personal collection). The actual creation of the spin takes about 1 minute from the time you set the object on the base to the time the app is done creating the file. Really, super incredibly fast. The spins are currently hosted on Arqball's servers, and you can access them at any time online via a link or by embedding a short line of HTML code into a web page or blog post (as I have done here). So easy, a toy-obsessed caveman could do it. Above is a Pink Feather HoodZomb from 3A's Adventure Kartel series of 1:6-scale figures. 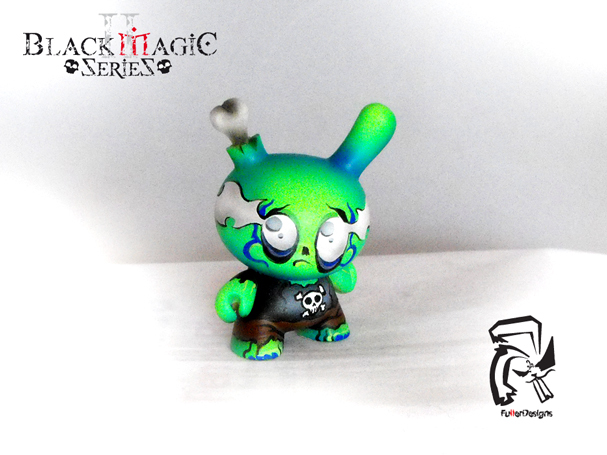 Above is our exclusive David Horvath Strange Beast Bossy Night Stomp edition. Although we didn't do it with these spins, the Arqball software does come with a background deletion feature which allows you to record the spin in front of a white background and with one click, remove the entire background and base so it's pure internet white. Arqball is really easy to use, and you can get a jump on your competition by supporting their Kickstarter here. I'm a backer. 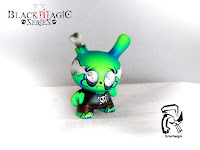 Expect to see more spins incorporated into Tenacious Toys blog posts and product listings soon. I'd recommend this system to any toy shop or manufacturer that would like to more easily and completely reveal all the details of the products they carry or manufacture. Even great for bloggers who frequently review products online. No more photo shoots followed by editing multiple images! 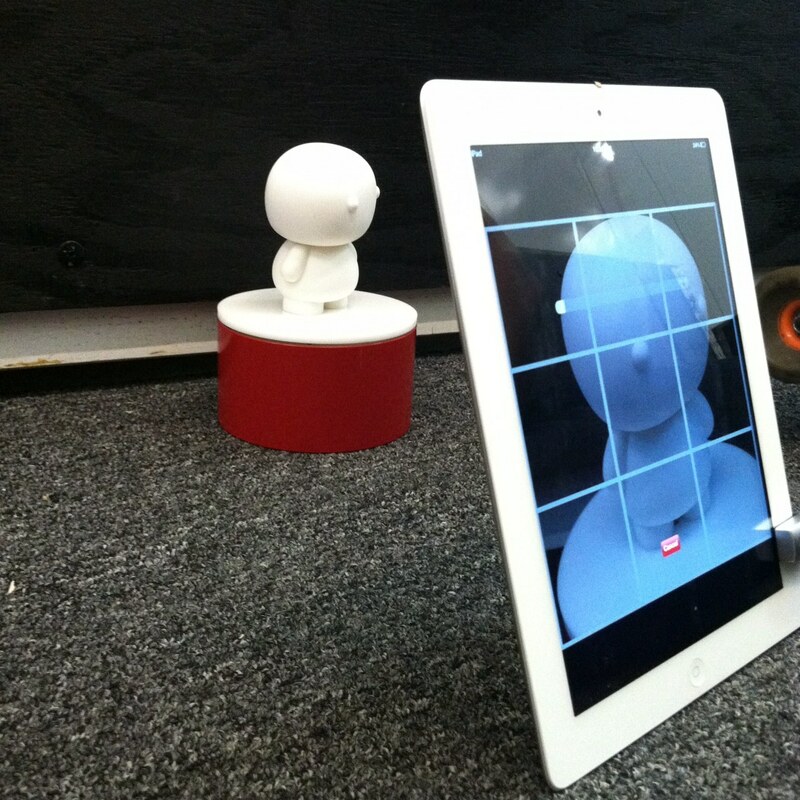 One Arqball spin takes care of every angle. 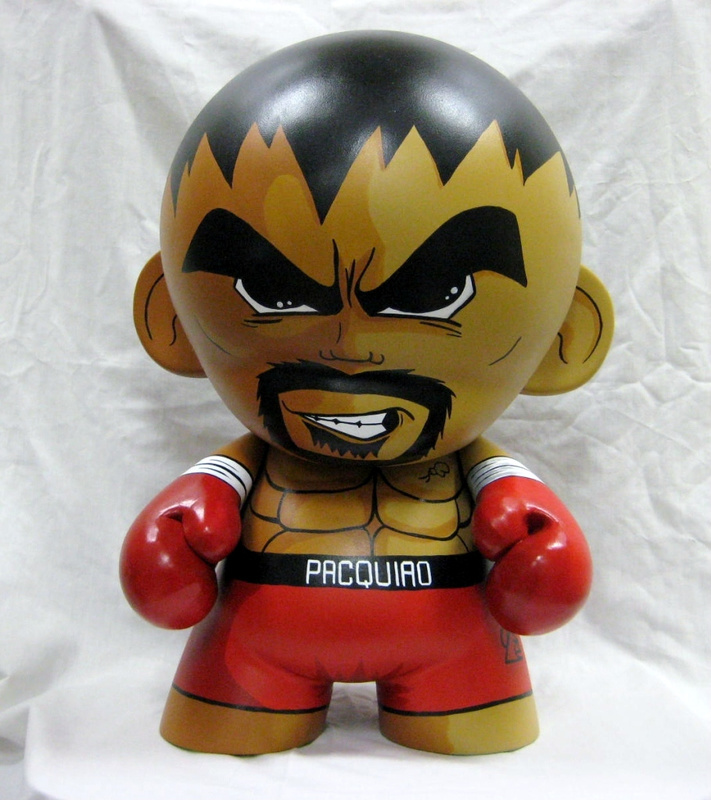 JFury shares with us images of his very first custom 18" Kidrobot Mega Munny- this thing is almost as tall as Manny! 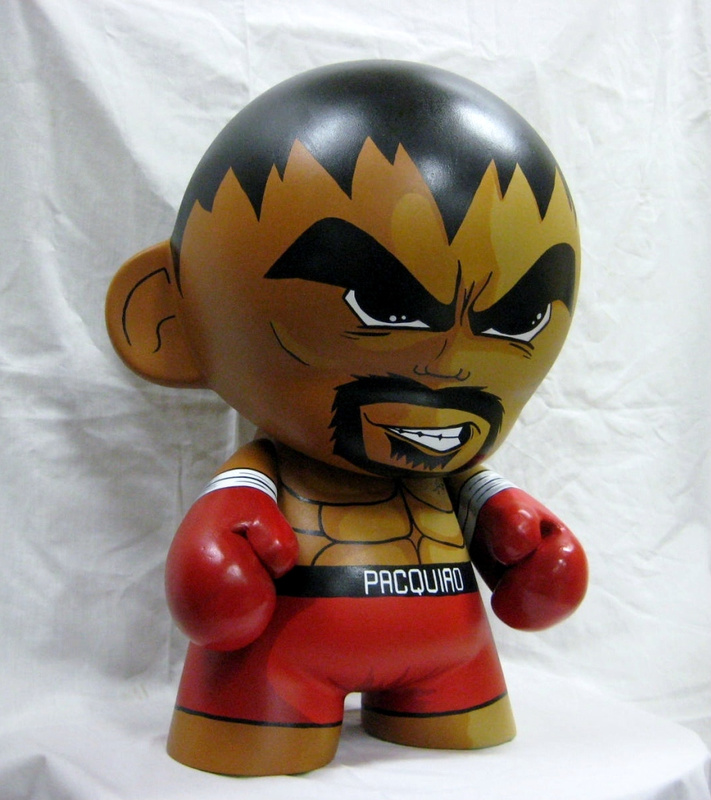 If you go to JFury's web store, it looks like this one is sold, but there are a number of other cool customs available for purchase. KIDWARZONE is based on a 7-inch Kidrobot Mascot figure. You can follow Don P on Facebook, his blog, and his web shop. Teru Fujita's Bentie the Bentley custom 7" Munny garnered a lot of attention at the Candy-Coated Custom Show... partly because it was such a technically complex custom, and partly because it was Teru's very first custom art toy. 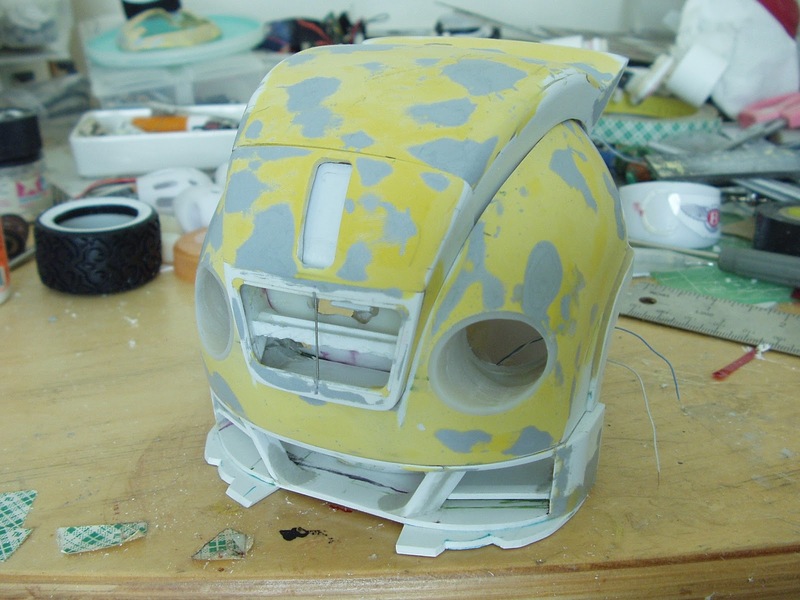 Teru wanted to share with us some WIP shots (below) from when he was creating this amazing piece. Bentie took Teru a total of 80 hours to complete. 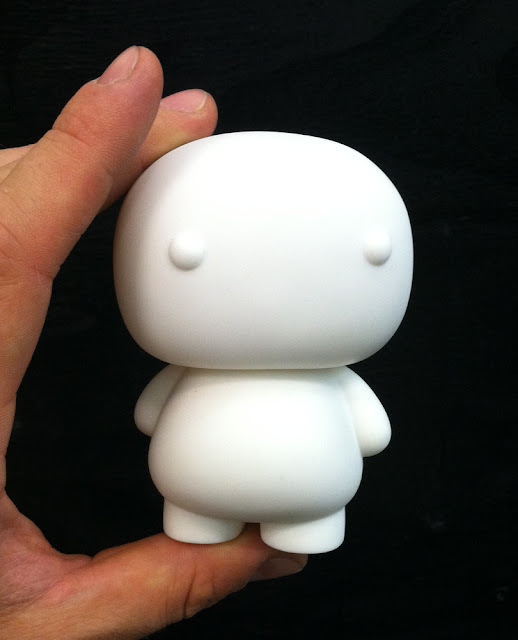 The beginning stages of adding sculptural detail to the Munny's head. 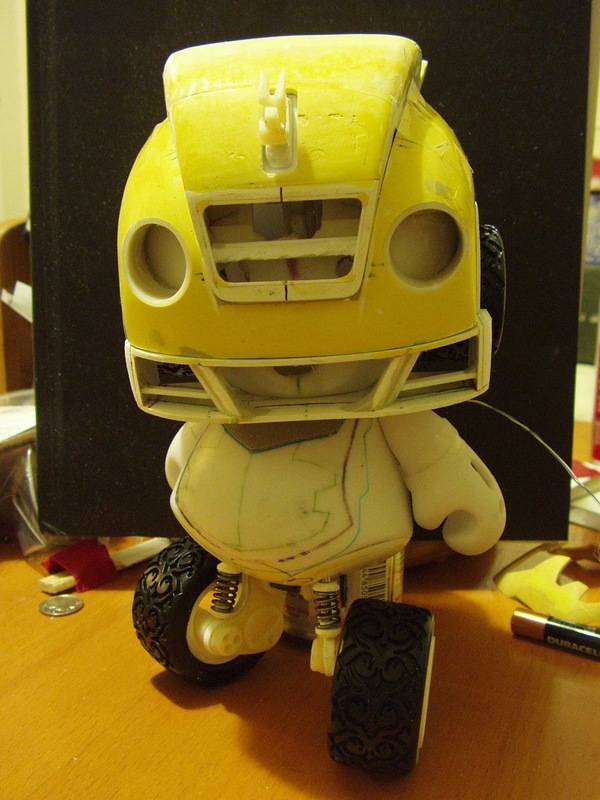 Head is placed on body and electronics are tested. Teru says he'd like to flesh this idea out into a set, with the next pieces possibly being a Lancia Stratos rally car, and then a VW bus. I'd love to share links with you so you can follow along, but Teru doesn't do the internet very much, so you'll just have to wait and see what I post up here in the future. 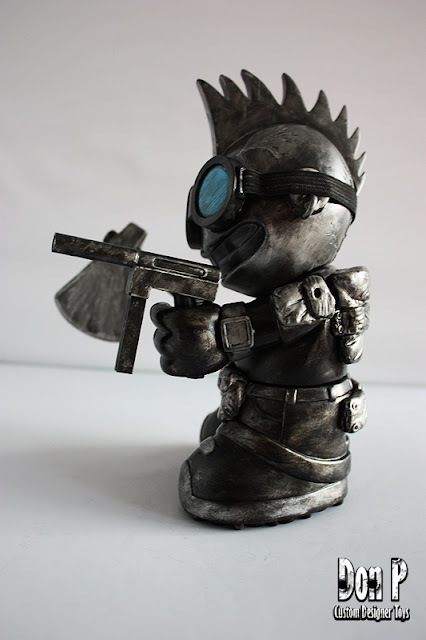 Cash customized this Ten-Doh figure by Squid Kids Ink as a commission for a friend. He used Krylon gold and flat black spray paint, and the rest was hand-painted with acrylics and sharpie poster paint markers. To follow Cash, click here. 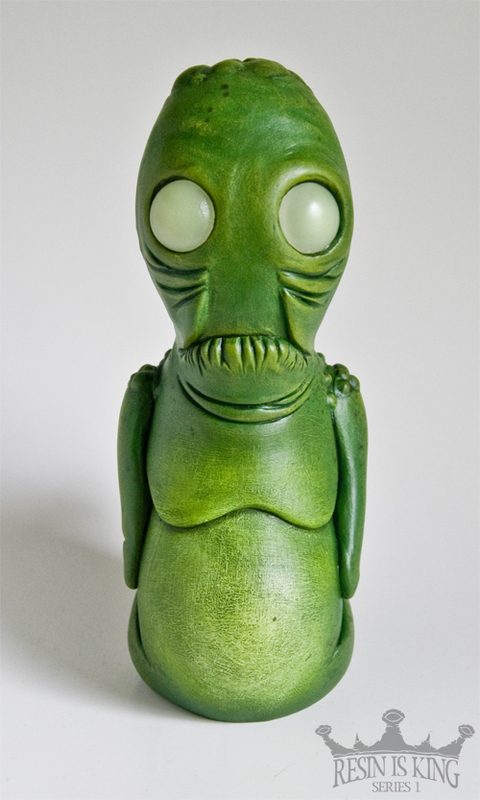 To get your own Ten-Doh figure, go to the Squid Kids web store here. 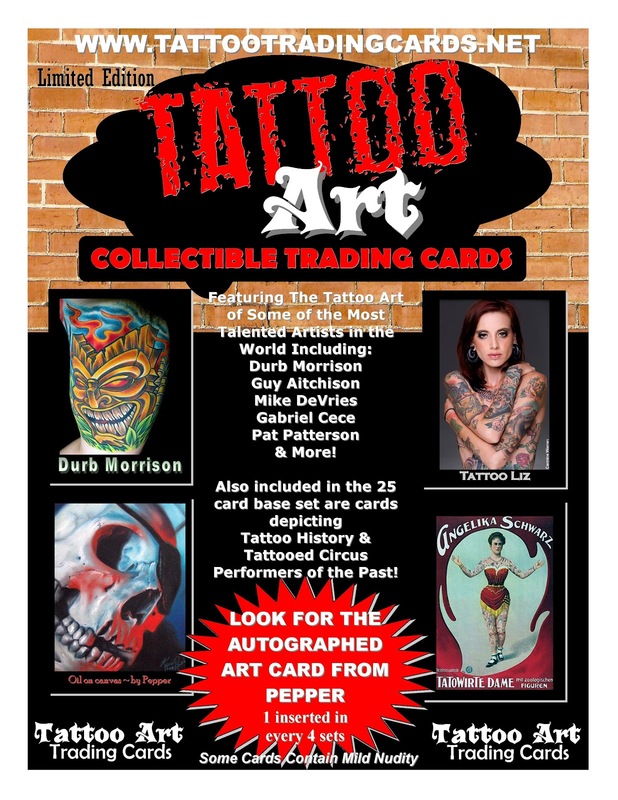 Tattoo Art Trading Cards, the first set of its kind, was introduced to non-sport trading card collectors, April 21 & 22 at the Philly Non-Sports Card Show. The 25 card starter/base set was extremely well received by collectors at the show. Next, Frank Eachus Publishing introduced the set to tattoo enthusiasts at the Hell City Tattoo Fest in Columbus, Ohio to yet another warm reception. 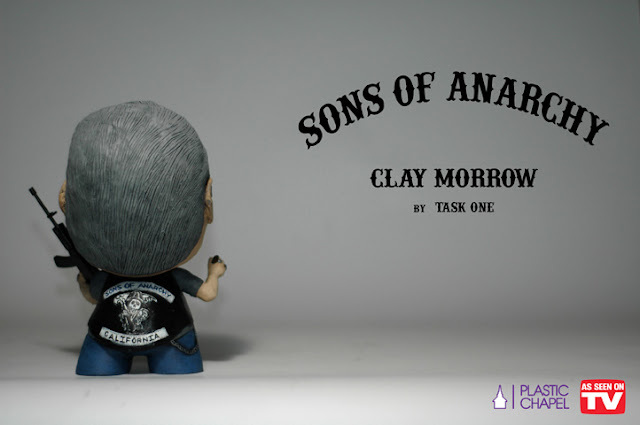 “The set is popular with collectors due to the fantastic art of the tattoo artists,” said Frank Eachus of Frank Eachus Publishing. The set is also popular with tattoo enthusiasts for the very same reasons. “I started working on the idea two years ago. Tattooing is much more socially acceptable today, and the art lends itself well to the trading cards, making beautiful collector cards,” says Eachus. “It’s very gratifying to see such a great response to a brand new concept. Hopefully, this set will help to interest more collectors in the non-sport collector card hobby,” says Eachus. The initial release of Tattoo Art Trading Cards consists of cards depicting the fantastic art of some of the most talented artists in the world. The history of tattooing is also included in the initial release, featuring historical benchmarks of the art of tattooing, and turn-of-the-century tattooed circus performer posters reprinted on the trading cards. Frank Eachus Publishing plans on a fall release of 6-card packs to follow up the very popular initial release. “The packs will feature more great artists, tattooed models, autographed cards, special artist sketch cards, and more chase cards,” says Eachus.